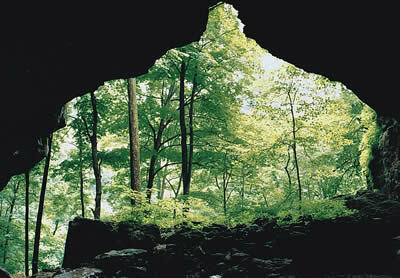 One of our favorite state parks is Maquoketa Caves State Park in eastern Iowa. It features something for everyone: campsites, 6 miles of hiking trails, a cave museum and more than a dozen caves. Only three of the caves — known as Upper, Middle and Lower Dancehall caves — are developed, featuring a walkway and lighting. And you can walk through Rainy Day, Ice and Twin Arches Caves. But for others, like Up-‘N'-Down, Steel Gate and Wide Mouth Caves, you'll have to crawl. Bring a flashlight, a helmet (those rocks are hard!) and old jeans — you're going to get dirty. The park is located on County Highway 428, about 7 miles northwest of Maquoketa, which is at the junction of U.S. Highway 61 and State Highway 64. There are 29 campsites, 17 with electrical hookups only; rates range from $6 to $11 a night for regular sites and $11 to $16 for sites with electrical hookups. For more information, phone 1-563-652-5833.